The Nation of Islam has released the full text of The Honorable Minister Louis Farrakhan’s letter to the National Director of the Anti-Defamation League, Abraham H. Foxman. The letter dated June 24, 2010 was sent with copies of two newly released books by the Nation of Islam’s Historical Research Department, The Secret Relationship Between Blacks and Jews, Volume 2: How Jews Gained Control of the Black American Economy and Jews Selling Blacks: Slave Sale Advertising by American Jews. Additionally, he sent copies of the books and the letter to all of the heads of the major influential Jewish organizations. Please accept these two books enclosed from our Historical Research Department titled The Secret Relationship Between Blacks and Jews, Volume 2: How Jews Gained Control of the Black American Economy and Jews Selling Blacks: Slave Sale Advertising by American Jews. The charge of anti-Semitism has been leveled against the Honorable Elijah Muhammad, Malcolm X and the Nation of Islam for many years. 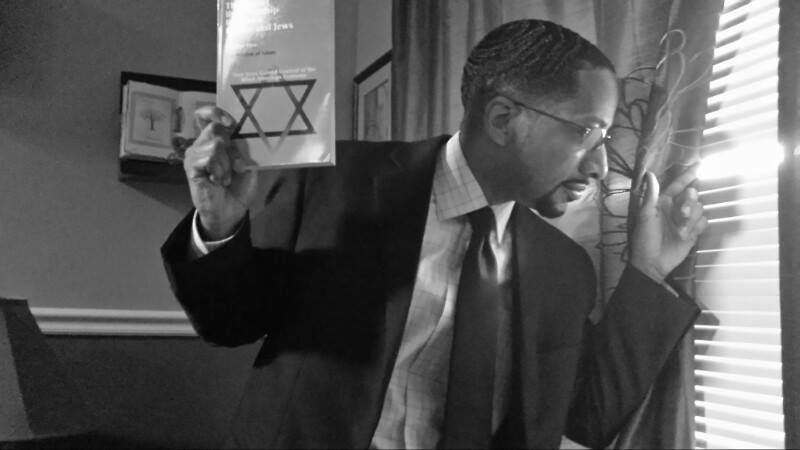 For twenty-five of the thirty-three years of my rebuilding of the Nation of Islam, I and we, in the Nation of Islam have suffered under the charge of “anti-Semitism” because I have dared to be critical of what I and many others feel is Jewish behavior that has ill-affected Black people and others. We can now present to our people and the world a true, undeniable record of the relationship between Blacks and Jews from their own mouths and pens. These scholars, Rabbis and historians have given to us an undeniable record of Jewish anti-Black behavior, starting with the horror of the trans-Atlantic slave trade, plantation slavery, Jim Crow, sharecropping, the labor movement of the North and South, the unions and the misuse of our people that continues to this very moment. As you have constantly labeled me and done everything within your power to hinder me and us from the civilizing work that Allah (God) has given to The Honorable Elijah Muhammad and myself to do, I ask you to find one act committed by me or those who follow me that has injured one Jewish person, stopped Jews from doing business, hindered their education, injured their families, sullied or desecrated their synagogues. You will not find one. So, except for our willingness to tell the truth and our unwillingness to apologize to you for telling the truth, on what basis do you charge me and us as being “anti-Semitic”? Armed with this knowledge from the pens of Jewish scholars, Rabbis, and historians, we could now charge you with the most vehement anti-Black behavior in the annals of our history in America and the world. We could charge you with being the most deceitful so-called friend, while your history with us shows you have been our worst enemy. I do not write this with vitriol, hatred, bitterness, or a spirit of vengeance, because One greater than you and me has permitted this for His own wise purposes. However, what is done is done. We cannot change the past. You and I, your children and mine, your people and mine are living in the present. Your present reality is sitting on top of the world in power, with riches and influence, while the masses of my people here in America, in the Caribbean, Central and South America and elsewhere in the world are in the worst condition of any member of the human family. I have pleaded with you over the years for a sensible, intelligent dialogue. You have rejected me, and some Rabbis have given me terms for friendship that any self-respecting person could never accept. So with this truth in our hands and yours, and soon in the hands of tens of thousands, I again ask you for a dialogue. You are in a position to help me in the civilizing work that The Honorable Elijah Muhammad was given to do by Allah (God), whose burden and Mission–Allah and He–has made me to share. With this historical research in your hands, you may either gather your forces for an all-out struggle against me, the Nation of Islam, and the truth that I and we speak and write, or as an intelligent and civilized people, we can sit down and carve out a way forward that can obliterate the stain of the past and render us, Jews and Blacks–before Allah (God) and the world–in a new, honorable, and mutually respectful relationship. This is an offer asking you and the gentiles whom you influence to help me in the repair of my people from the damage that has been done by your ancestors to mine. This is a wonderful way of the present generation of Jews to escape the Judgment of Allah (God) by aiding in the repair of His people. However, should you choose to make our struggle to civilize our people more difficult, then I respectfully warn you, in the Name of Allah (God) and His Messiah, The Honorable Elijah Muhammad, that the more you fight and oppose me rather than help me to lift my people from their degraded state, Allah (God) and His Messiah will bring you and your people to disgrace and ruin and destroy your power and influence here and throughout the world. I pray that you will make the wise and best choice.